INEOS Styrolution will offer a comprehensive overview of its material lineup and solutions portfolio for the automotive industry at the Plastics in Automotive Engineering (PIAE) in Mannheim, Germany, April 3-4, 2019. The company says its highlights will include Luran S for exterior applications, new structures with laser structured surfaces and the latest news on the company’s composite StyLight, designed for structural and aesthetic applications. Luran S is a suitable material for automotive exterior applications such as radiator grills and mirror housings. Dedicated grades of the material were developed for weather resistance and UV stabilisation. The grades are also used for unpainted parts at SUV rear spoilers. INEOS Styrolution will also exhibit new structures with laser grained surfaces developed in collaboration with Reichle Technologiezentrum. New applications of StyLight, a material based on a modified SAN (styrene acrylonitrile copolymers) matrix and diverse fibre textile, will also be showcased at the event. “I am convinced that our offering for the automotive industry is stronger than ever before, as we are providing improved and new materials for aesthetic applications,” said Christophe Ginss, Sales Director Automotive EMEA with global coordination role at INEOS Styrolution. Claim your free subscription to British Plastics and Rubber today! 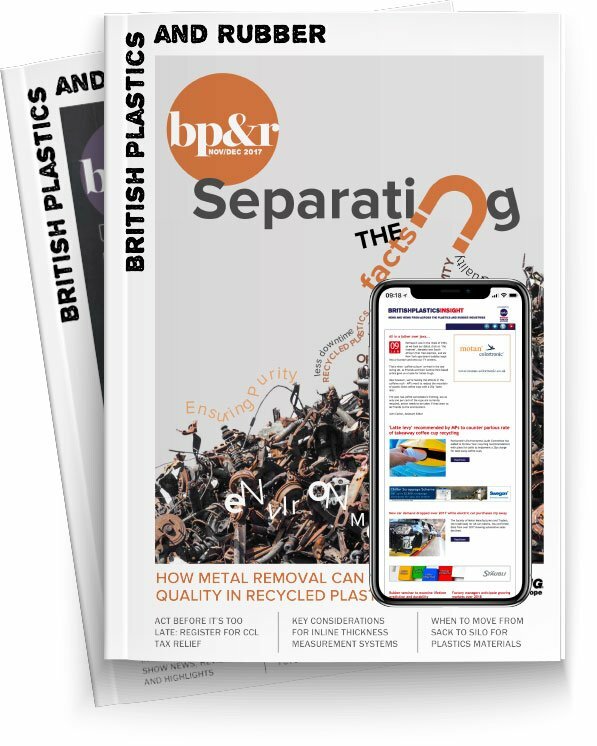 BP&R is the essential leading journal for the UK’s plastics and rubber processors, providing information and insight to keep you abreast of the latest economic, political and global situations.